When given a task, it may be your instinct to hop in feet first. When starting a company, you may just want to put your head down and get to work. But before step one, there’s a step zero — the best of us listen first before creating anything. Those who stop and listen connect with their customers and fans on an emotional level, putting themselves in the service of others. They gather data before getting started (and keep gathering long after they start), ensuring that there is no wasted effort. The big benefit? These people now have the fuel to push pass the relentless friction that arises from bringing something original into the world. It is much easier to push through your creative blocks when you can actually visualize what your audience needs. But more importantly, you’ll make stuff that people actually want. Empathy in PracticeIf you spend time observing and talking with people who use your product or service, fantastic creative ideas start to appear. Also, features you once thought were critical become irrelevant as your audience tells you what their true emotions are behind the decisions they make. None of this happens in front of a whiteboard in the comfort of your office. TadpullAt Tadpull, a user-first digital marketing shop, before we write a line of code or sketch a wireframe we have conversations with the people who will be clicking or tapping on the things we’re looking to build for our clients. We focus on asking tons of simple open-ended questions and listen for people to reveal their hopes, anticipations, fears, and annoyances around the ideas we are working on. To organize what we heard from these interviews, we rely on a tool called an Empathy Map (You can download our Empathy Map here) to help us identify common patterns from these conversations. We write down the answers on post it notes and organize it on the map. This helps us get a birds-eye view of what users and customers want. The fun part is the right column, which holds all types of ideas that we never would have dreamed up had we not spoken with real people. This is where the creative breakthroughs start to sprout up and we simply focus on generating a large quantity of ideas at this stage of the process. The “because” part turns out to be a really big deal. We find our entire team aligning around this insight. We’ve now connected with these people as friends and as human beings, and are committed to creating something together to make their lives better. We are not the first company to employ this method. The legendary design consultancy company IDEO makes it a habit for its digital team to schedule out-of-office field trips where developers, designers, researchers, and project managers all spend time on site interviewing potential users. The team interviews everyone they can find about what a person might go through during an end-to-end experience accomplishing a task. Next, they spend time debriefing as a team to share what they learn before they ever start to build something like an app experience. Another great example of empathy at scale comes from the email marketing company, MailChimp, who considers empathy core to their brand and product. Making Creative Work FunAs creatives, adopting this empathy-first approach has some unexpected personal benefits as well. Having an empathy-first mindset helps you push through the inevitable creative roadblocks. It’s not about creating a portfolio piece. It’s about helping the people you now know solve their problems using your unique skills. Working this way, with real people in mind, is much better than staring at a blank canvas or whiteboard and giving it your best guess. However, be forewarned: working in this user-first way is quite humbling, as many of your assumptions brainstormed in euphoria around the conference table tend to not hold up to this type of inquiry. After all, a critical voice was missing. Using this mindset, you can avoid the heartache of wasted time by capturing what people want early on before you are overly vested. After all, we’re not creating for screens or faceless crowds. How about you? 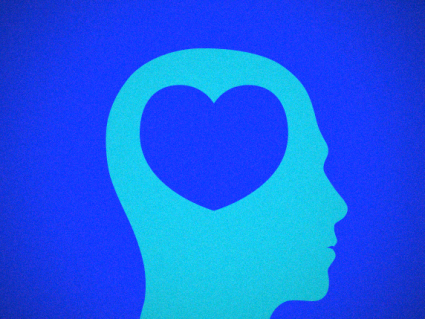 How does empathy factor in to your creative process?